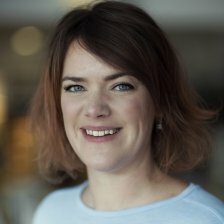 Katie Russell is Head of Data & Analytics at OVO Energy, leading a team focused on deriving insights to inform and inspire action – for customers and for OVO as a business. As part of a technology led business, leveraging data using artificial intelligence keeps OVO truly innovative and delivering the best possible service for our customers. Katie joined OVO in October 2017 having spent 5 years at ONZO – an energy analytics start up – as Head of Data Science. During that time she was chuffed to be awarded Big Data Hero by techUK in June 2016 and helped ONZO win multiple awards for their innovative solutions for utilities. Prior to that Katie worked for another analytics start up in the water industry, got a PhD in Mathematical Physics and holds a BA and MMath from the University of Cambridge.